Entrepreneur Musician, songwriter, Entertainer Moedoe Coupe born as Montez Claysean Marks-Oliver December 7 1990 in Columbia, Missouri. Home of the Missouri Tigers.. Growing up between his Grandma and mom’s house with his older brother a Little sister He took interest in football….. watching his step dad take care of his mom, I took a taking into the life style shortly after reaching his teenage years at 14 he caught his first charge in a sting operation being sent to the juvenile justice center.. at the age 20 Moedoe was shot 5 times in an home invasion robbery. Making a strong recovery, he Met a Cali connect and stacked his first 100k. Between investing everything into music paying lawyers and fighting cases he has stayed humble. And now he his making music and making his name here in music industry. He recently released a track ‘Audi’. We are sharing our recent conversation with Moedoe Coupe. Pro Media Mag : What kind of effect your life has on your music? Pro Media Mag : Tell us about your recent release ‘Audi’? Moedoe Coupe : Man just listen to the lyrics. Moedoe Coupe : Labels have been reaching out as well as scammers I was almost a victim of that shaliek berry scam. Moedoe Coupe : On stage because I can see people liking my music and relating. 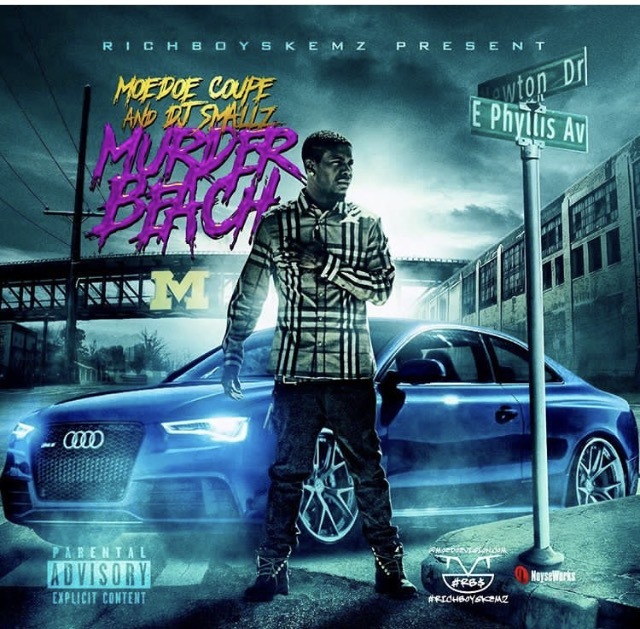 Moedoe Coupe : Yes to be a rapper with a purpose. Moedoe Coupe : Always just Keep watching for me.